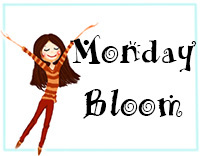 And don’t forget to submit your link bellow for The Monday Bloom link up party, can’t wait to see your lovely posts!!! This entry was posted in style and tagged cherry blossom, Elena Fay, link up, maternity style, Monday bloom on April 14, 2013 by Elena Fay. Cute baby bump I like the blazer with the pink tee! Thanks a lot for stopping by and your lovely comment! Such beautiful pictures! You are a lovely pregnant lady! I love you hair like this! It is so cute! And you look beautiful in pink; this color really suits your glowing mommy-to-be face 🙂 Thanks so much, once again, for hosting! I’m happy to be back for another week! Elena, you look great! 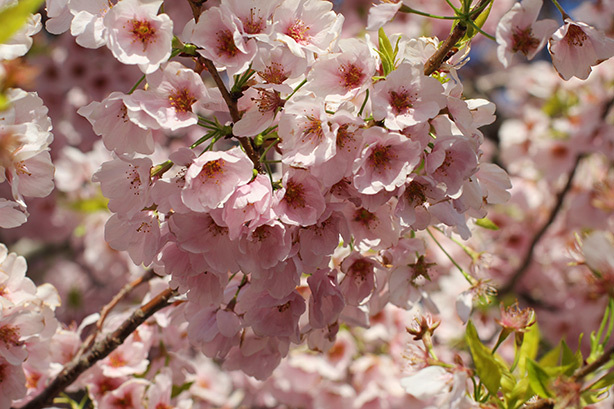 What gorgeous cherry blossoms! 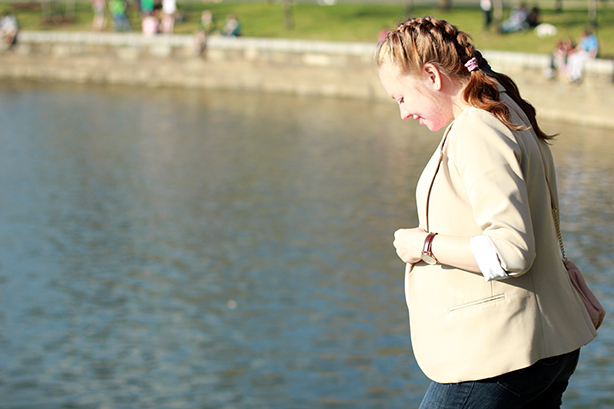 I finally have an outfit post to link up with you. 🙂 Have a wonderful day! Yay… so glad to see you in my linky party!!!!!!!!!!! And thank you dear for your sweet words! Thank you very much for stopping by and your lovely comment! OMG SUPER CUTE post:) your blog Is such an inspiration. 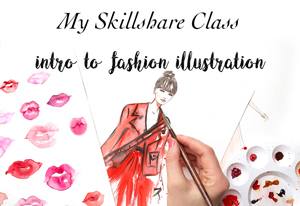 It’s sure it great to be back & linking up with you Elena….I also grabbed your super lovely badge (check it out on my sidebar)! And you are certainly so lovely and ready to pop…so take extra care my dear!!! Ah look at that bump! You are so cute! Those flowers are amazing! Great photos Elena! You are looking so beautiful!! Such pretty pictures. Would love to see the DC cherry blossoms one day. You look amazing! love the double braids. Thank you very much Margaret, you should definitely come visit next year-it’s truly gorgeous!!! 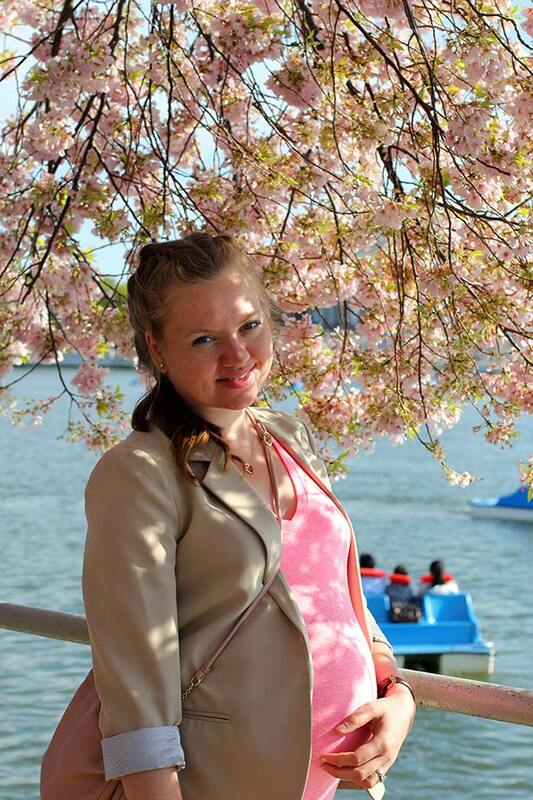 You are definitely pretty in pink in those cherry blossoms! Simply gorgeous. I love your cute hairstyle too. Thanks for hosting the link up! Hi Elena. I am Ada and I have followed your blog for a few months now and even left a couple of comments. Are you due with your first baby, boy or girl? By the way, I featured one of your looks from last week on my blog. Check it out below. I hope for you to stop by my page too and follow my Blog either by GFC or Bloglovin. Awww thank you so much Ada, I’m truly flattered to be a part of your collage! Also thank you for being a part of the link up!!!! Always look forward for Monday Bloom to see beautiful outfits !!!! You look radiant. That pink is gorgeous. And the flowers are so lovely. Thanks for showing them to us, and thatnks so much for hosting! How awesome to view the Cherry Blossoms in DC. I was able to view the blossoms in LA a few months ago. 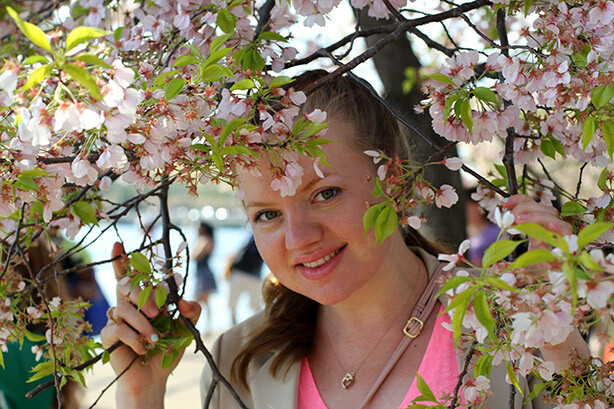 The photos look fabulous with your pink t-shirt and pink blossoms. Thank you Zalina, would love to visit LA during this blooming period some day! 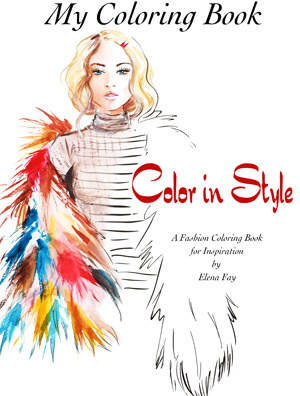 You are looking so so fab Elena! I love these gorgeous photos. The setting and that pink top are gorgeous! aghh, so jealous! It hasn’t quite gotten gorgeous-y spring here in Chicago yet. Just lots and lots of rain! Cute baby bump. These are some lovely photos. Your hubs must be so proud of you … you’re a blossom, yourself … blooming right along. Take care, and hang in there! It’s the most beautiful period for DC I would miss it too! Thank you so much for your lovely comment!!! You look amazing! And your outfit pairs so well with those gorgeous cherry blossoms. So pretty! Those trees are gorgeous! I wish spring flowers were blooming over here! Umm – is it appropriate to say that you look really hot in those skinny jeans?! 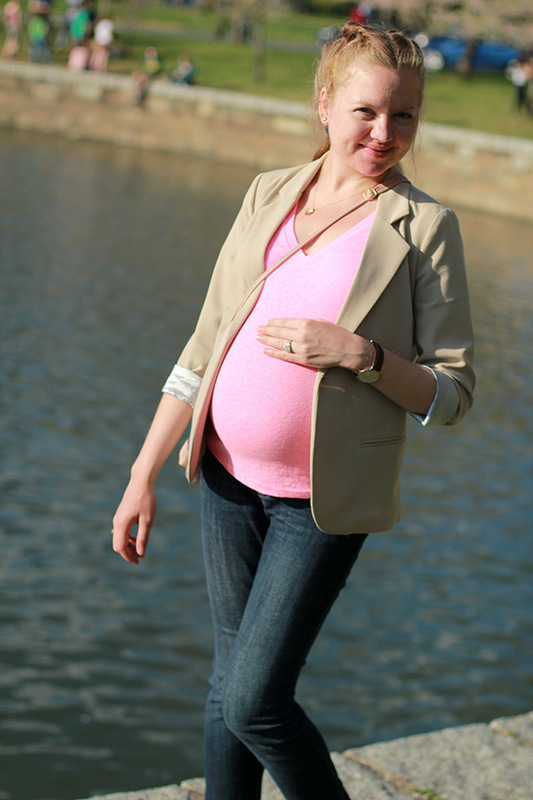 Seriously, I can’t believe how well you are carrying off the fitted tee, skinny jeans and blazer – such a great look for you, and of course the pregnancy glow is gorgeous! 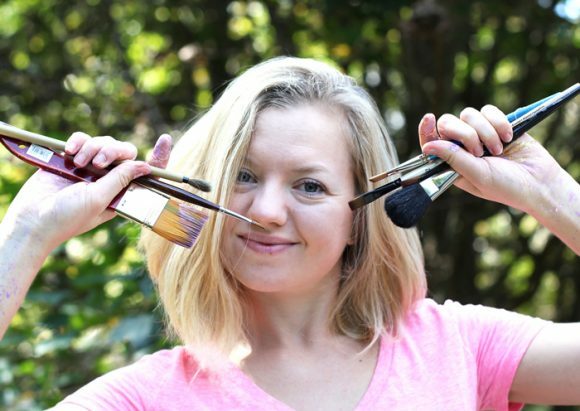 Girl…you are super duper talented. I definitely want to enlist your services one day. SO pretty! Love the pink and your cute braids.